"Waiting On" Wednesday is a weekly event, hosted by Breaking the Spine, which spotlights upcoming releases that are eagerly anticipated. For my first WoW blog post, I'm going to cheat a little bit. 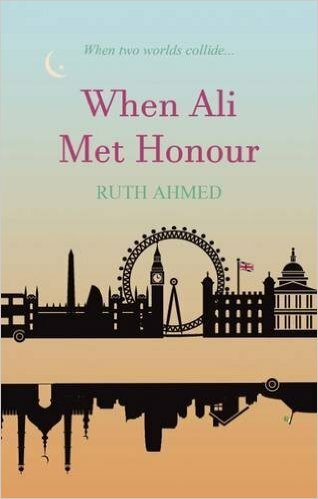 The book I'm looking forward to is Ruth Ahmed's When Ali Met Honour, which is already available in paperback from amazon at £12.99. What i'm anticipating is actually the release of the e-book, which is coming mid March! When Ali Met Honour follows the stories of a Muslim boy, Ali, and an atheist, Honour. The two meet on a student night out, two different worlds engaging in a dance of tradition, familiarity, and belief. To quote the official blurb, it's a story 'that teaches us what it means to be young and in love in multicultural Britain'. The book really tackles the issues with balancing western opportunity and cultural expectation, a story which addresses love of life, of family, and of romantic partners. For so many of us, picking up a paperback is such a simple way to relax and escape into a world that isn't our own, if only for a short time. Leading a bit of a hectic lifestyle can cause a bit of a dent in our ability to read whenever we would like to - I know that as a student, the idea of carrying three or four course texts, notebooks, my phone and goodness knows what else, alongside a casual reading book, makes me coil up a little inside. Therein lies the beauty of an e-book. With the Kindle app you can read pretty much anywhere, as long as you have your phone, Kindle, or tablet with you. When Ali Met Honour is a story that I truly believe should be a staple in everyone's bookcase, so why not make it a staple on your Kindle shelf? I'll leave the official blurb below for you, and I hope you like the sound of it just as much as I did! When Ali and Honour meet on a student night out, they fall head over heels in love. But Ali's a Muslim and his parents want him to marry a girl in Pakistan. And Honour's an atheist and doesn't believe in marriage. Soon Ali's leading a double life: One in London with Honour, living every couple's dream; another in Manchester, as the dutiful son. Meanwhile, Honour learns about a different way of life, insisting she will never convert. A contemporary story that tells us what it means to be young and in love in multicultural Britain. I definitely agree, we need more texts which showcase multicultural Britain! Checking yours out now :).